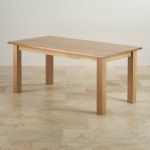 The Contemporary 6ft x 3ft Natural Solid Oak Dining Table can comfortably accommodate up to six diners. 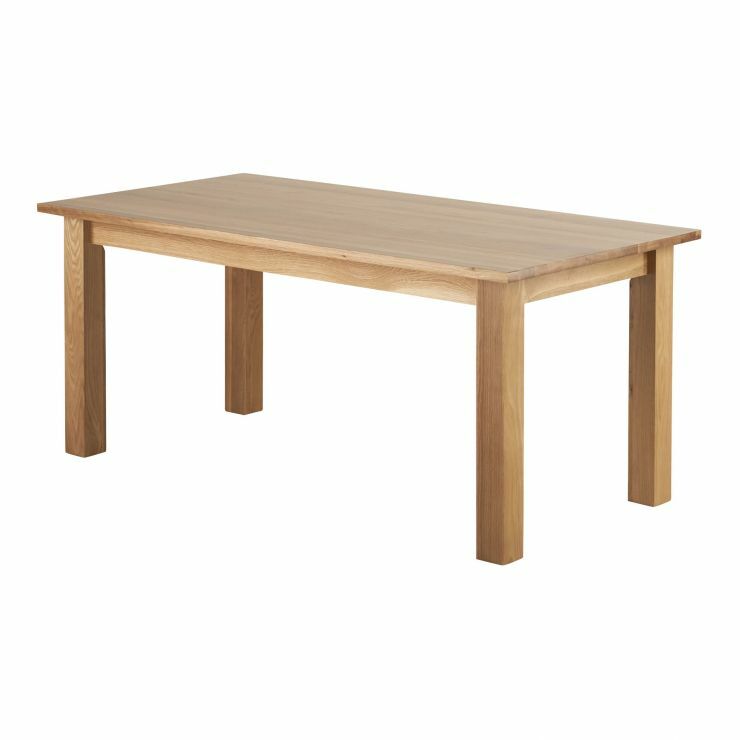 Made from high quality solid oak, it features a simple yet elegant design, which will complement traditional and contemporary homes alike. We only ever use the finest materials in our furniture, which means no chipboard, no veneers and no MDF. To enhance the natural lustre of the oak, the table has been finished with a coating of clear wax polish, which also creates a long-lasting protective seal. Create your dream dining set today by visiting our dining set builder tool. Delivery is absolutely free!